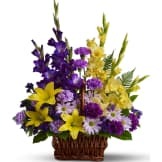 A towering display of blooms such as gladioli, carnations and chrysanthemums in royal hues of purple and lavender, presented in a Grecian-style urn, is a gracious representation of your heartfelt sentiments at a funeral, memorial service or wake. 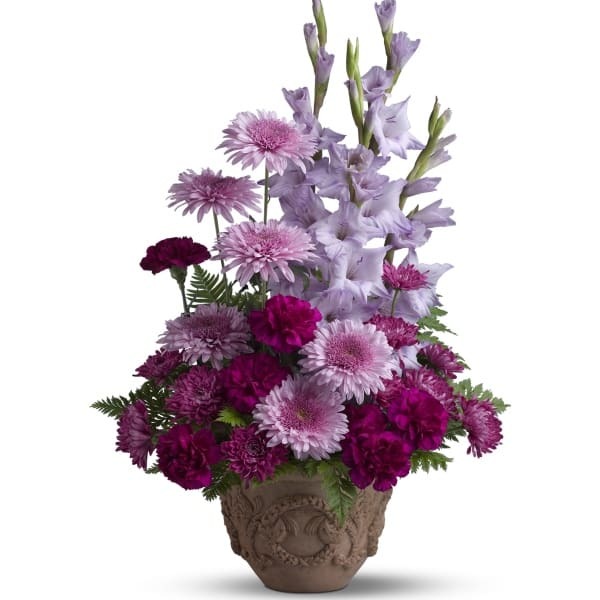 • A mix of fresh flowers such as gladioli, carnations and cushion spray chrysanthemums, in shades of lavender and purple — accented with ferns — is delivered in a Teleflora Garlands of Grace urn. 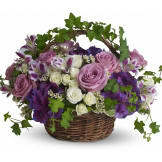 • Arrangement measures approximately 17 1/2" W X 27 1/2" H.